Sometimes people like to keep all files in MP3, MP4, AVI or any other one. Very few people know that they can keep their audio files in the MP4 format as well. MP4 format is actually a container format which can hold both audio and video, so you will never face issue in playing your file after converting MP3 to MP4 file. You can convert MP3 to MP4 using online websites or software, and in this article, we’re going to tell you the best MP3 to MP4 converter website and software. 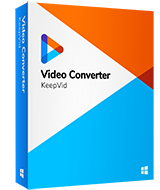 KeepVid Video Converter is new smashing video and audio converter software developed by KeepVid to convert files in more than 1000 formats. This MP3 to MP4 converter program can also convert the video or audio for your devices, including Android, iOS and more. This is a very fast converter software can give you guarantee about converting your files by 30x faster speed than any other converter program. Convert video and audio files to more than 1000 video & audio formats. Convert videos and audios for your mobile devices, including iOS, Android and more. You can trim, crop, add special effects or add watermarks to your files with this converter. Step 1. Open KeepVid Video Converter and add the MP3 file from your computer. Step 3. When the conversion finishes, you’ll get the file in Converted tab. Run KeepVid Video Converter on your Windows/Mac computer after the installation. Then choose Convert section at the top middle of the main interface. Now click the Add File or Add Folder button at the upper left corner to add the MP3 file from your computer to the software. Or you can drag and drop the MP3 file into the program window directly. KeepVid Video Converter will load the file and display the detailed information of this file. Now you can click the inverted triangle beside the Target area, and select MP4 as an output in the pop-up window. You can also click the inverted triangle beside the Convert all files to button, and choose MP4 as the output format. Then you can click Convert or Convert All button to start converting MP3 to MP4 file. When the conversion finishes, go to the Converted tab and locate the MP4 file. You’re also allowed to right-click the file and choose Open File Location to find the file in your computer. With the help of KeepVid Video Converter, you can also convert MP4 to MP3 in easy steps. 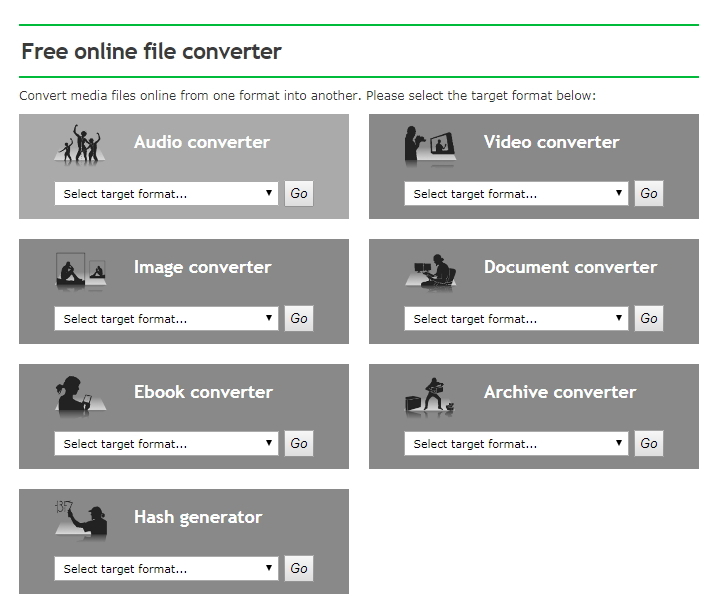 The converter can help you to convert almost all the formats you want. • Check out the features and find whether the program is right for you before purchasing it. • Take a look at the size and quality of the output video before converting it. • Pay attention to the installation process as few programs will install other programs during the installation. In this part, we're going to introduce the top 3 helpful MP3 to MP4 online and desktop converters. KeepVid Online Video Converter is a part of KeepVid family, and it’s an online solution for you to convert MP3 to MP4 files. KeepVid Online Video Converter allows you to convert MP3 to MP4 files with easy steps, and it doesn’t ask you to install any other software. There are more than 50 video and audio formats supported by this website. Online Convert is one of the best video converter websites which enables you to convert video and audio from one format to another. It provides you multiple options to convert files. 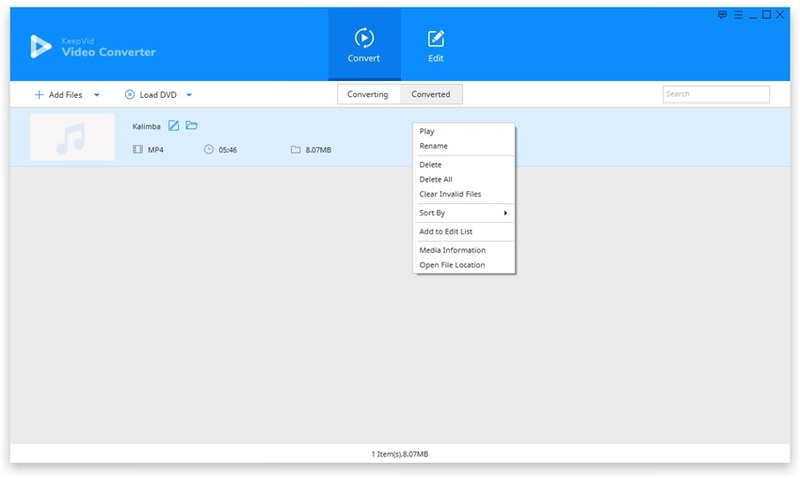 You can upload files from computer, Enter online video URL or upload files from cloud like DropBox or Google drive. This website also allows you to convert document, ebook, image, etc. 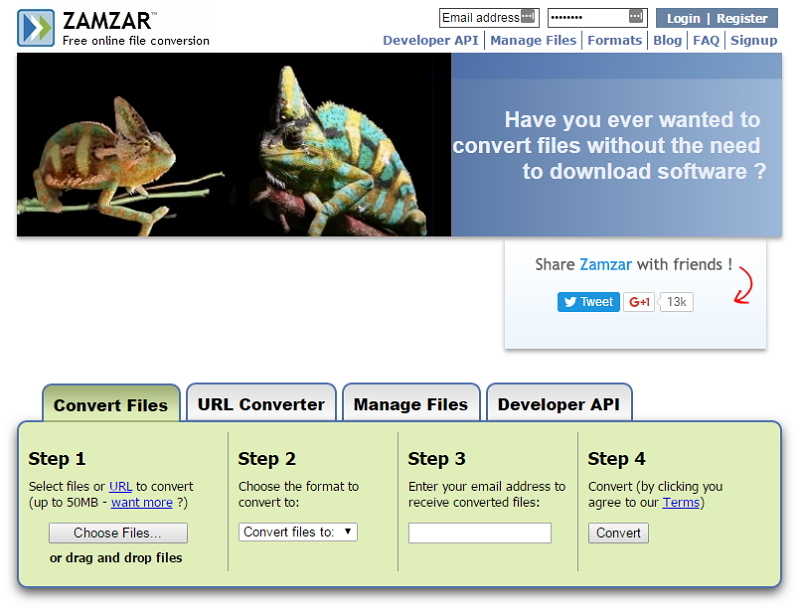 Zamzar is a very old and famous video converter website with online conversion option. This MP3 to MP4 converter website allows you to convert online videos or hard drive videos by uploading from your local folder to website. Previously video downloading was also supported by this website but now it’s a converter website only. These helpful online and desktop MP3 to MP4 converters quickly help you to finish the task. 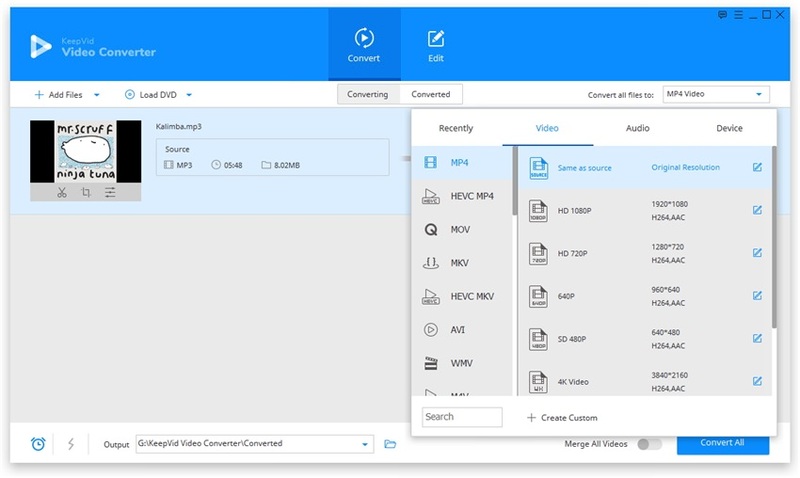 If you want to convert videos in the perfect quality and don’t have much technical knowledge about format then you can try KeepVid Video Converter because it offers you a very easy way to convert videos to the format you need. You’ll only need to select the video format you want, and KeepVid Video Converter will do the rest part for you.